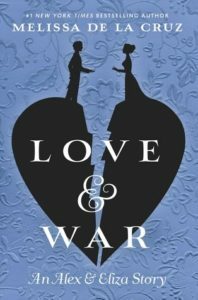 Summary: As the Revolution is coming to a close Alexander Hamilton and his new bride, Eliza Schuyler, are learning that being married is not always easy. Alex is setting up his law offices and Eliza is establishing their home. The long hours at the office defending Loyalist clients puts a strain on the young couple. Will they be able to continue their love story or will it crumble? Highlights: I enjoyed the story of their early marriage. De la Cruz does a good job of portraying how hard it would be to try to find a balance in this new country. I particularly liked the struggle of a young patriot having to defend the wife of a Loyalist. He must have faced lots of ridicule from other members of his party. Lowlights: This is young adult and it feels like it. The love and feelings are very immature. However, it does as good job of bringing the history to a young audience. FYI: Book 2 in the Alex & Eliza series. First Line: He saw her yellow dress before he saw her, glowing in the fading light; a beacon at the far end of the stables. Summary: A young girl lives with her grandfather in London. He has been teaching her to ride and do very difficult tricks with her horse. But when her grandfather has a stroke she is in a difficult place. A young lawyer is going through a separation and dealing with high-profile cases. When she finds a young girl stealing from a local minimart she decides to take her in with the help of her soon-to-be ex-husband. The situation becomes harder than anyone expected. 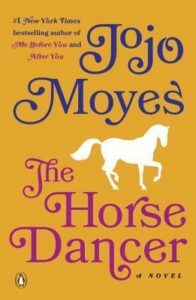 Highlights: Jojo Moyes does such a great job bringing social issues to life in her stories. I was never one for chick lit but Moyes is amazing. I read a majority of this in two days. I know nothing about horses but now I want to go riding. Lowlights: A little slow in the middle but worth it. FYI: Be ready to read it straight through.